Join the Interest List for This Course. This module will introduce the collaborative professional role Case Managers perform and the necessary case management strategies to improve transitional care for high-risk patient populations. Focus is on needs assessments, brokerage and monitoring of health care services and resources, comprehensive assessments, care coordination practices, proactive discharge planning, patient/family advocacy, and the provision of appropriate transitional care interventions. 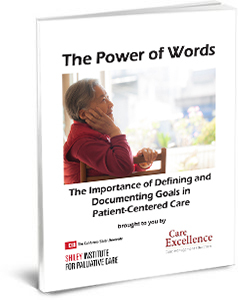 These interventions include culturally and linguistically appropriate education, supportive, and counseling strategies to enhance self-care management and empower patient/care-giver to manage their chronic illness and symptoms management. With complex patients, the challenges of care coordination increase as the number of programs and agencies involved increase. Learn strategies for dealing effectively in a complex multi-faceted environment while ensuring optimal care coordination for clients. Take the sophistication of your coordination skills to a new level. Case management is a specialty area that receives complex care and at-risk patient populations that are referred through different venues that include case-finding, predictive modeling, health risk assessment score, and direct referrals from providers or by patient and patient’s advocate. With an influx of cases that would benefit from case management services, good triage practices are critical to assess urgency, risk level, needs, and gaps in care that would benefit from timely case management interventions. This module covers interventions including culturally and linguistically appropriate education, supportive, and counseling strategies to enhance self-care management and empower patient/care-giver to manage their chronic illness and symptoms management. Managing high risk clients requires the continual application of critical thinking skills in the moment and the ability to look ahead to identify and mitigate risks. This module provides advanced tools for enhancing critical thinking and risk management that are critical to every care manager working with complex cases. The Complex Care Coordination Skills course consisting of its four modules is available online as a part of the Advanced Concepts curriculum training. Below are some Fast Facts about this course and its modules. Please call us for more information.